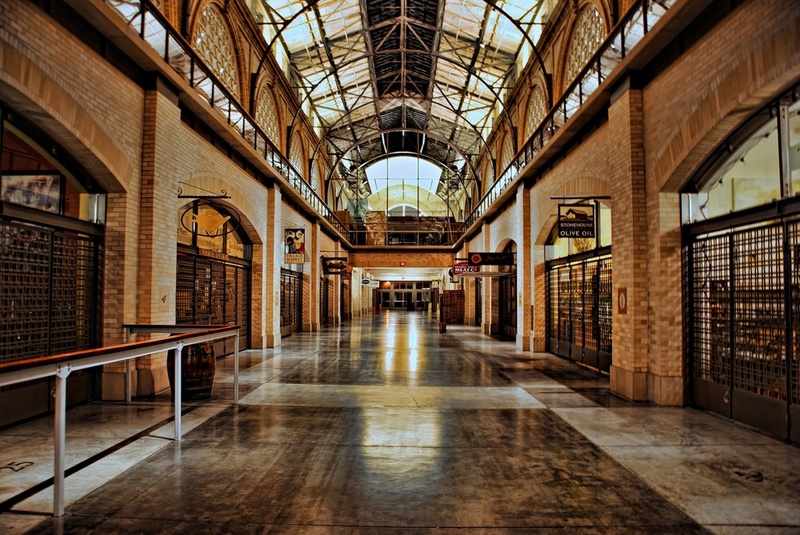 The Ferry Building was one of my primary targets while in San Francisco. I had read about it and seen many pictures online. Though my initial plan was to get a nice HDR of it at night (which I posted here), the other thing I wanted to do was get some shots from inside it. I had read about an upstairs section which provided some nice views of the interior, but I arrived one evening and couldn't get access to the 2nd floor. Luckily though, the downstairs entry was open and I had the place all to myself. This is a single exposure taken in Aperture mode at f/4 and adjusted in PSE, Topaz Adjust and Aperture.